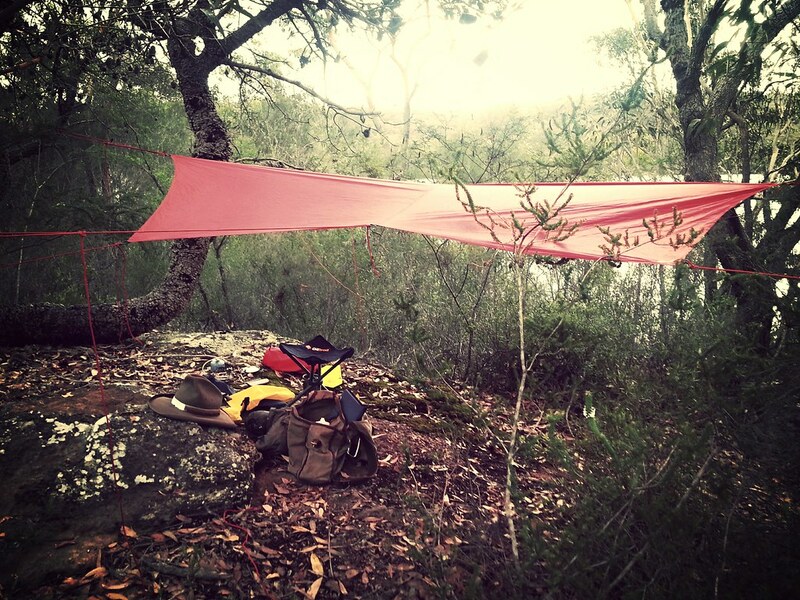 Bought my first tarp a month or so ago, a Terra Rosa Exploring made in Melbourne Australia by Evan. There are a selection of models available catering to a diverse range of applications from the light weight soloist to expedition sized tarps. I have been an avid bush walker and hiker for several decades and over that time never used a tarp (used small light weight tents). Now that I own one I wish I had of tried one earlier. The model purchased is the Terra Rosa Exploring Tarp. The tarp is a hexagonal shape 2.8 x 2.2 meters in dimension and is made from 30d Sil-Nylon with a weight of 290g. Before shipping Evan asked if I wanted him to seam seal the tarp which I agreed to (obviously some people prefer doing this themselves). The tarp comes with 6 tie-outs, although you need to fit it out with your own lines (I have used paracord). Another excellent feature is the stuff sack which is a generous size so packing the tarp away is not an onerous process. Overall, the quality is superb. After a week of torrential rain in Sydney I could no longer cope with being inside so headed out to my local patch of bush. Two hours after bush bashing I decided to seek refuge from the rain under my new tarp. I must confess, I did a poor job setting it up, but the water was running off and I stayed dry. I brewed a tea and read a book. Need to practice the process of setting up this tarp but otherwise this is a superb piece of kit. Out and about on another day, tarp is indeed proving to be excellent addition to the kit. I dislike synthetic tarps immensely,I will only use cotton, linen or hemp canvas. They are better than a tent though. Yes Le Loup synthetic tarps would certainly not be your thing. Terra Rosa also make canvas tarps for those of a traditionalist perspective. Having said that I love this tarp, so light and packs away into a small stuff sack. Perfect for my intended use. Great to see the tarp flying and getting some miles! Great pictures.